Feline Leukemia Virus infection was, until recently, the most common fatal disease of cats. Fewer cases of the disease are seen as there are now vaccines available. Like FIV, FeLeuk affects the feline immune system, which makes the cat more susceptible to disease. The virus is only transmitted between cats via bodily fluids. Transmission is primarily through intimate moist contact, such as biting/fighting or mutual grooming; transmission may be possible via sneezing, hissing, sharing food/water bowls, and sharing litter boxes. Veterinary tests are available for FeLeuk (vaccination does not interfere with testing in the case of FeLeuk). Cats who test positive for FeLeuk may live for months to years, and in many cases it is possible to ensure a FeLeuk+ cat has a good quality of life through combined efforts of owner and veterinarian. Vaccines against FeLeuk are available, although you may wish to consider whether this is necessary for your cat. “Indoor cats” are considered at low risk for FeLeuk, although there can always be the risk of infection if an indoor cat escapes outdoors, or if another unvaccinated cat is brought into the home. Cats with Feline Leukemia are frequently passed over when potential adopters search websites like Toronto Cat Rescue’s because they are seen as sickly or undesirable. Many volunteers and adopters do claim that FeLeuk cats are some of the most affectionate and most grateful cats when adopted and given a second chance in a forever home. 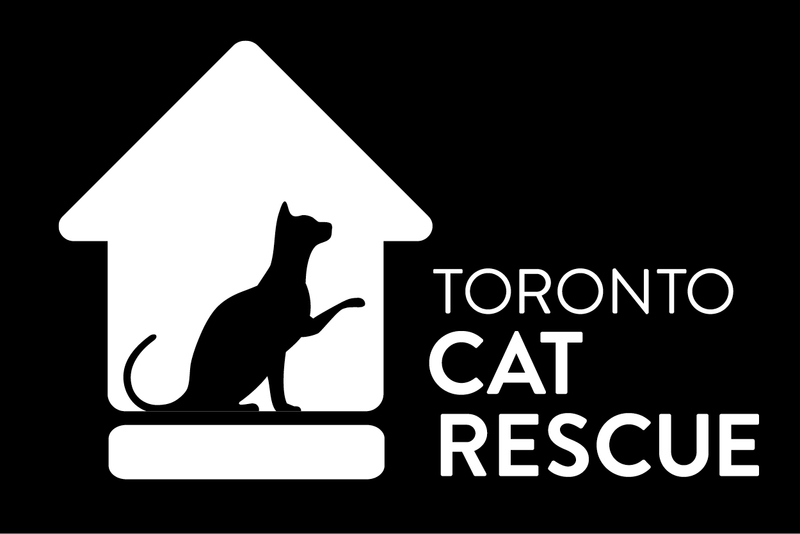 While rare, Toronto Cat Rescue does have a few cats in our program with FeLeuk and their adoption rates are low. There are many reasons to adopt cats with FeLeuk, especially if you have a big heart! Cats with FeLeuk can live for years if precautions are taken to protect their more fragile state. By feeding FeLeuk cats nutritionally complete and balanced diets, taking them to the vet regularly for wellness checks, and monitoring the cat’s health carefully, they can have long and healthy lives. They are in need of homes where they are the only cats in the home, or in a home with other FeLeuk positive cats, so that the virus is not spread to healthy cats. Ema and Romeo pictured in this article have been waiting a very long time to be adopted, so we hope you will educate yourself about Feline Leukemia Virus. Please don’t pass them by like so many others have, especially if you are looking for one very deserving cat to love. TCR understands that it takes a very special, caring adopter to adopt a FeLeuk+ cat, so in lieu of our standard adoption fee, a donation of your choice is appreciated. Taking Away The Mystery of FeLeuk: Best Friends Animal Society (series). my partner and i have a beautiful, loving and healthy FeLeuk+, FIV+ cat. he will be 6 years old this winter. we love him like a baby and he knows it. please, don’t pass over a FeLeuk kitty. if i had, i would have missed out on one of the greatest loves of my life!